The last few years have given rise to what some commentators are heralding as a ‘transport ticketing revolution’ with operators, councils and stakeholders investing heavily in modernising infrastructure and deploying SMART ticketing initiatives across many parts of the UK. There’s no doubt that SMART technology now pervades many aspects of our lives. From SMART energy meters that allow us to better control energy usage in our homes, to smartphones which have totally transformed the way we communicate with the world. For many of us in this new technological era, change is of course welcome but not everybody is as quick, or as enthusiastic, to adapt. With headline grabbing figures that suggest the UK is heading towards a totally cashless society, perhaps there’s been a misguided assumption that all people were desperate to buy their bus or rail tickets in a radically different way. However, it’s important to remember that not everyone has access to a smartphone, or even a bank account, and that needs, practicalities and demands vary so much across the different demographics. For example, some people, particularly those over 65, use their bank accounts purely for budgeting purposes, meaning they have no wish to do anything else but withdraw cash to pay their bills and expenses. It’s also worth pointing out that even those with smartphones may not be utilizing the technology to its full potential. We shouldn’t also dismiss the fact that there is demand for being able to pay for things like energy on a pre-pay basis, from both those who budget and manage their bank accounts and those who don’t even own bank accounts. Location is also a fundamental factor that influences available public transport options and therefore levels of interest surrounding SMART ticketing developments. People living in urban locations- with good access to bus, tram and rail services- are far more likely to be interested in features of interoperability, fare-capping and Real Time Information in comparison to someone living in a rural location with limited/infrequent services. Innovations and improvements in ticketing are of course welcome in large part but the challenge for stakeholders is to meet the needs of all consumers who are moving at different speeds in the adoption of technology. Scrambling around around for bus fare or having to arrive at the train station early to buy a ticket are common inconveniences many commuters have faced but that’s all changing now thanks to the introduction of SMART ticketing kiosks that enable users to pay for services in a variety of different ways. People’s expectations nowadays have been set by a simple click on their phone leading to the arrival of goods a few hours or a day later, and ticketing innovators have risen to the challenge by introducing features like contactless pay that enable seamless purchasing which helps reduce queues and delays. However, to encourage usage, particularly for those slow to adopt, being kept informed is essential which is why it’s a good idea to make the technology as simple and user-friendly as possible, and that instructions for usage are laid out clearly and precisely. In some circumstances, it may even be worth deploying physical staff to help passengers come to terms and feel comfortable with the new machines. In the current climate of rising rail and bus fares, better ticketing can lead to a better perception in value, which could be because new technologies enable travellers to buy new types of tickets or because loyalty points can be collected with ease. The precedent set by Oyster also raises expectations that fares become cheaper when ticketing is overhauled and it’s true that SMART integrated systems are helping to save operators significant amounts of money and these savings could be passed on. Well-designed improvements in ticketing can help passengers feel that the transportation service is well linked and that they will not be unfairly penalised for being unable to predict all journeys at the start of the week to get the cheapest fare. The fact that people can make the ticket work for them and it is costed accordingly is extremely valued. For example, new ticketing initiatives enable zones to be created and different charges can then be applied depending on the time of day. One-size-fits- all solutions are now outdated and passengers need to feel that they are masters of their own destiny. 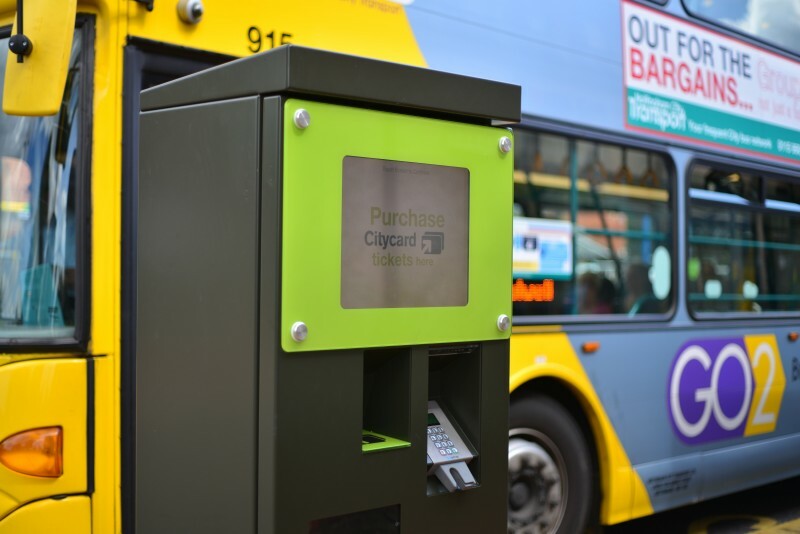 A smart ticketing scheme can quickly become second-nature to users, much like we’ve witnessed with Oyster and more recently MCard which is being pioneered across West-Yorkshire. Features like contactless payments make sense to users in terms of what to do and why, reducing the demand for paper-based/ more traditional solutions. Design simplicity for ticketing kiosks is also essential, in relation to both hardware and software, in order to encourage repeat usage.